If you find yourself in a lot of debt or you feel like you are barely making ends meet, you may be ready to turn your finances around. Depending on the seriousness of your situation, it may take some time to get yourself back on track. However, you should not get discouraged — rather, take heart that you can improve your financial situation by following these 10 steps. The first step in changing your financial situation is to determine where you want to be. It is important to have a clear goal in mind so that you know exactly what you are working for and what you need to do to get there. You may start with being completely out of debt, or becoming a homeowner. You may want to retire early or start your own business. Once you have the specific goal in mind, you can begin working backward to find out what you need to change or do in order to reach that goal. It can help to write the goal down where you will see it often. Find a picture that represents it and put it somewhere that you can see it on a regular basis. Once you know where you want to go, you need to figure out exactly where you are. This will help you see how much you need to change and help you create a plan that will move you toward your final destination. In order to do this, you need to determine your net worth. You need to total the amount of debt that you have and look at how much you spend in relation to the amount you bring in each month. This exercise can be difficult because instead of thinking of your debt in terms of your monthly payments, you will look at the total amount you owe. For example, you may be making minimum monthly payments on your credit cards of around $300, but once you add up your debt, you may realize you own $15,000 in total. However, this can also be a wake-up call to help you to make lasting changes. Also when you look at your income versus your spending, you may realize that you do not make enough money to cover your necessities which may be causing the financial problems you are having. Once you have identified where you are, you need to set up a budget that will allow you to begin changing your finances. Usually, this means setting up a barebones budget that will allow you to put extra money toward your debt or savings goals. Start by listing your income and expenses. Look at your spending the last few months to get an accurate total of what you usually spend in each category. Then begin looking at things you can cut back on. Some common areas many people can spend less are food and entertainment. You can look for ways to save on your daily expenses so that you free up additional money for your goals. 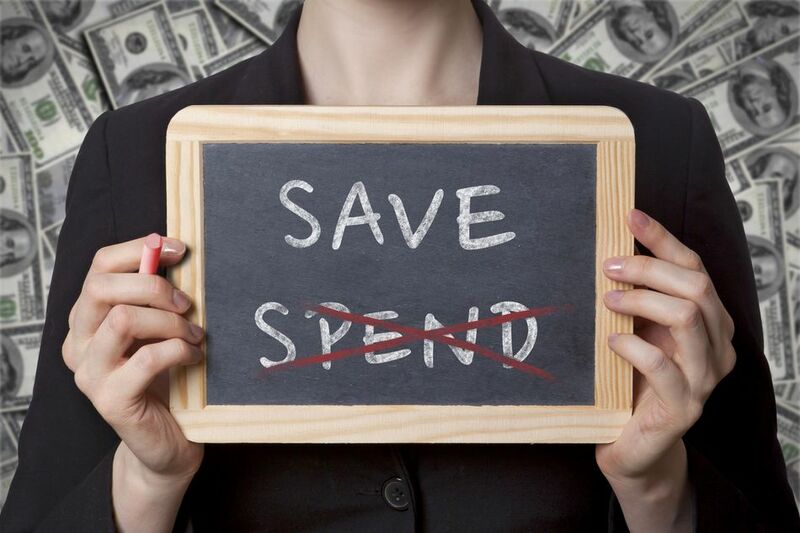 Once you have a budget written down, it helps to have good financial software or a solid budgeting system in place. Some people find switching to cash helps them to limit their spending and to stick to their financial goals. In order for the rest of the steps to work, you need to get your budget to work for you. It may take a few months of tweaking, but it is key to being successful. If you want to change your financial situation, you need to get out of debt. It does not matter how much you have or if you are getting tax breaks on it, you should work on paying it off as quickly as possible. If you have any consumer debt or credit cards, you are likely paying more on interest than you are earning on investments that you may have. First, you need to create a debt payment plan where you list your debts in order from highest interest rate to lowest, and then begin paying all of the extra money you can on your first debt. Once you have done that you will need to move onto the next debt on your list. In order for this to work, you need to stop using your credit cards completely. The more money you can apply to this goal will help to speed up the process. You can prevent a lot of stress and financial worry by planning for unexpected financial situations. The first thing is to make sure you have the proper insurance. This includes health, renters/home, car, and life insurance. Insurance may seem like too much money when you are struggling to make ends meet but a car accident can set you back and any related medical bills can really damage your finances. Insurance protects you from the worst when something awful happens. It can give you the resources you need so that you can get through those moments. Additionally, you should save up an emergency fund. When you are working on getting out of debt start with between $1000 to one month’s income. This amount will allow you to cover an unexpected car repair or your deductible for health insurance. Once you are out of debt work to saving up between six month’s and one year’s expenses. This can help you if you were to lose a job or have a major emergency. The more difficult your financial situation, the more time it will take to turn it around. This can be frustrating since you may feel like you have to sacrifice for months or even years to get out of debt and start working toward your goals. The key to being successful is to stay motivated throughout the process. Break down your goals into smaller steps. Reward yourself when you hit each of the milestones. You can have the rewards become bigger as you grow closer to the goal, just be sure to pay cash for each one.